Two reports released within one week of each other in July addressed marijuana use by teens. One study claimed marijuana use was up while another report said it was down. Which is right? While adults clamor to make sense of the findings, millions of teens are lost in the smoke screen. 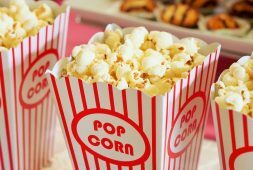 The study claiming the good news was released by The University of Texas’ School of Social Work. They looked at studies from 2002 to 2013 and discovered that between those years, there was a 25% reduction in the number of 12- to 14-year-olds who used marijuana (6% to 4.5%)…and an increase from 74% to 79% of that same group who strongly disapproved of marijuana use. Older teens, 15- to 17-year-olds, also showed a decrease in marijuana use from 26% to 22%, but no observable changes with respect to disapproval. But the Texas researchers also looked at young adults (ages 18-25) and their perceptions and use of marijuana. The findings in that category weren’t so optimistic. Unfortunately, from 2002 to 2013, this age bracket saw a sharp decrease in the disapproval of pot usage (from 41% down to 23%) and even a small uptick in marijuana usage (from 30% to 32%). End of story? Closed case? The report espousing the bad news came from Penn State’s Methodology Center. This study looked at findings from the University of Michigan’s research of nearly 600,000 students conducted between 1976 and 2013 (a much greater amount of time than the report above). In addition to studying marijuana usage, they looked at alcohol and cigarette use, as well. 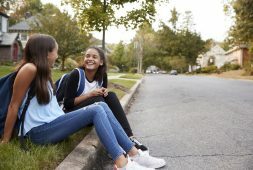 The researchers claimed that cigarette use had declined – especially amongst white teens – and that marijuana use had increased – especially amongst black teens. 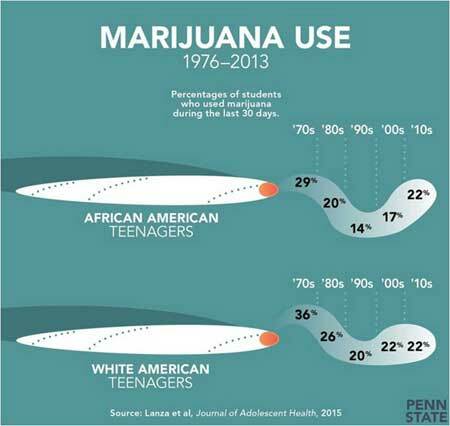 But, as the graphic to the right shows, it might be more accurately stated that “marijuana use is back up after all these years.” After all, until recently, white kids have alwayssmoked more weed than black kids. Researchers were quick to point out, “Our analysis shows that public health campaigns are working – fewer teens are smoking cigarettes. However, we were surprised to find the very clear message that kids are choosing marijuana over cigarettes.” But instead of charting new ground with anti-marijuana campaigns, we just legalize the recreational use of pot in more and more states…. So, which one is right? Are kids smoking more weed these days, or less? And exactly which kids are smoking more weed (or less)? Adults need a firm grasp on reality if they want to be able to help teenagers. We all know that Republicans have one version of the economy, and Democrats another. Who’s right? We all know that Yankees fans think they have the greatest team in MLB history while Boston sharply disagrees. Again, who’s right? Chances are very good, the truth lies somewhere in the middle. When you hear such conflicting reports in the media, you need to figure out how to read between the headlines. But how do you get to the truth in the midst of such differing evidence? Why not do a little “research” of your own? Ask clarifying questions about the data. This will help you more fully understand any discrepancies in the information being reported. Here are some quick examples to help guide you. Who’s doing the research? Are they an independent agent or somehow connected to the issue? In other words, do the researchers have something to lose if the numbers don’t go their way? What did the studies actually find? Don’t get sidetracked with the article’s title or the author’s take. Look at the numbers; they never lie! How similar were the studies? For example, if the “teens” in one study were all 13-year-olds and the “teens” in another study were all 19-year olds, the two reports don’t have a lot in common. Likewise, if the studies incorporate different time periods, it’s not an “apples to apples” comparison. If one report calculates the number of text messages the average 18-year-old sent in 2015 and another report calculates the number of text messages the average 18-year-old sent in 1915, those reports won’t have a lot in common, either! These kinds of questions will get you a little closer to the truth. Engage your kids on the topic. If we’re honest, we’re not as concerned with “kids in America” as we are with “kids in our living room.” That doesn’t make us evil; it’s just reality. But national (or even regional) numbers may vary greatly from our individual communities. After all, kids from an inner city Chicago neighborhood will almost certainly poll differently than kids from central Montana. One of the best sources on any subject may just be your own teenager. Why not engage him/her on the issue? You’ll get plenty of insight on the subject – along with areas you might need to address. 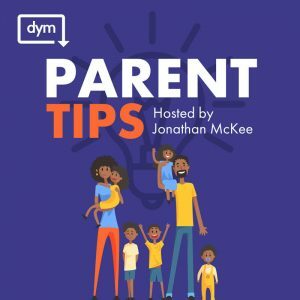 Here are some simple discussion points to broach with your kids about marijuana use (though they will work with other issues such as drinking, sexting, cheating, etc. Do you think these stats about marijuana are representative of kids in your school? Why or why not? What factors contribute to a teenager using marijuana? What effect does marijuana usage have on a young person’s life? What are some steps you can take to make sure you don’t suffer from those consequences? Researchers are going to continue to study teens and marijuana usage for decades to come. Laws are going to continue to change, as well. Regardless of the actual number of kids who abuse marijuana, one is too many. 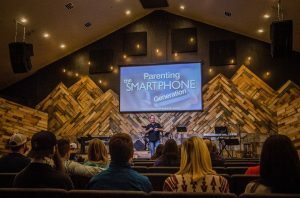 Do what you can as a parent or youth worker to keep your kids free of the smoke screen.